The name and brand dates back many years, Arte Espina originated from a very modern and innovating Dutch company. Their niche many years ago (when most rugs were traditional) was the modern / contemporary market. Arte Espina enriched the market with diverse collections of colour and bold, brash patterns. Many of their designs were abstract and geometrical. 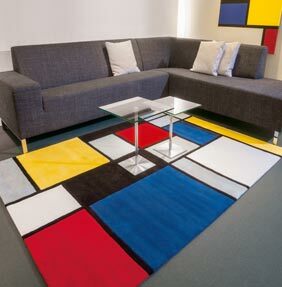 The designers and manufactures of these unique rugs set new trends and stamped the designer tag to Arte's name. Now the company has been relaunched and redeveloped in Germany, many of the old designers are still current along with some stunning new contemporary patterns.